With these 6 things to do, hopefully we can all make it to spring of 2019 before we go mad. Do you love Game of Thrones on HBO? Can you just not get enough Westerosi drama? Are you literally dying because there’s no GoT on TV? Then these things will help you make it until the 8th and final season airs in 2019! Here's a countdown if you want to count the seconds until you can watch new GoT again. This one is the go-to move for when you're experiencing Game of Thrones withdrawals. If you can't wait for the next season and need something to tide you over then a re-watch is usually your first move. So, you've already re-watched the show about fifty times and now know all the lines and subtle intricacies. The next step for you is to experience GoT in a different way. George R.R. Martin's A Song of Ice and Fire novels span 5 books long, and they cover the story as shown on TV up until about the end of season 6. Compared to the show, they have far more detail and tiny bits of foreshadowing scattered throughout the pages. I really recommend this to any GoT superfan, but the fact that there has not been a new book written in the series since July 2011 remains incredibly infuriating (c’mon George). Reddit and other websites of the sort contain many communities that revolve around the Game of Thrones television show or the novels. On Reddit for example, r/GameofThrones has content and discussions about the show on HBO. r/ASOIAF has content and conversation based on the novels. This includes wild theories based on tiny bits of evidence that could reveal what GRRM has in store for the books and show. r/Freefolk is the GoT memes page. Serving as the r/dankmemes of Westeros, the free folk proudly differ from the normies at r/GameofThrones. I'll leave you with a taste of their content and you can hazard a trip if you want. Now that you've read and experienced the various subreddits and such, you can make your own theories, memes, or whatever you want. This truly makes you a part of the community and allows you to experience GoT with other people who love it as much as you do. For my birthday, I was given two awesome gifts: the GoT card game and the GoT trivia game. Both are incredibly fun and allow me to play as the characters I love in the card game. I really like the trivia game because I get to flex my knowledge of the world of Ice and Fire. These games let me participate in the action the world of thrones and finally have my favorite characters not be killed for once. Also at Christmas, my mom gave me a puzzle globe of the world in Game of Thrones (even though it isn’t technically confirmed that the entire globe in GoT has been discovered). 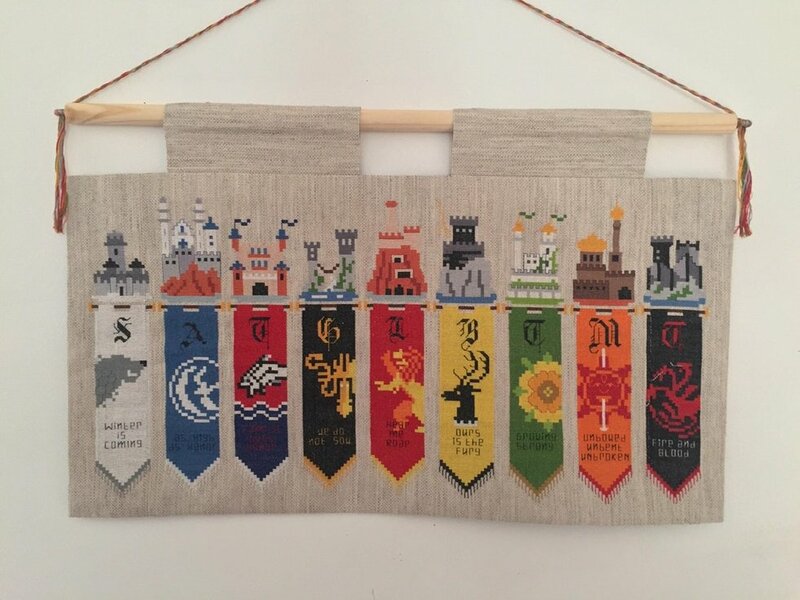 I love these because I really love puzzles, Game of Thrones, and room decorations. My globe looks gorgeous in my dorm room, representing my favorite show and also my skill at puzzles. Considering that we have well over 300 days until the next season of Game of Thrones airs and no set premiere date, we’re going to need to find more ways to deal with our withdrawal from one of the most enthralling shows on television. Until then, the only way we’re getting through this is together, until we can gather around the TV on the couch in a little under a year and finally watch Game of Thrones again.